Tom Droesch represents the fourth generation of real estate professionals in the Droesch family and offers his clients decades of local knowledge to assist them in finding the home of their dreams. A licensed Realtor® and Real Estate Broker, Tom is an active member of the local, state and national Boards of Realtors and holds a Bachelor of Arts degree in Business Economics with an emphasis in Accounting from the University of California, Santa Barbara. Whether you are interested in real estate as an investment or just looking for a great place to live, having a Realtor® who is knowledgeable in the technical and financial aspects of your transaction can be a real advantage. 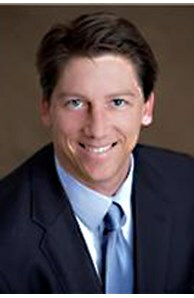 With multiple years of experience as a financial accountant for both public & private accounting firms and real estate investment trusts including Insignia ESG, Equity Office Properties Trust, Spieker Properties and Novogradac & Company LLP., Tom guides his clients with the technical financial experience they need to make the right decisions for their future. Take a look at nearly every top business professional in the world today and you will discover one trait that they all have in common: the ability to communicate effectively. From the CEO of Microsoft to the head coach of your favorite professional sports team, clear communication is the key to success. Working for over five years in retail sales for companies such as Silo Electronics, Nissan Motor Corporation and Runners Point in Oberhausen, Germany, Tom learned the foundations of effective communication. With sincere enthusiasm and a dedication to client service, Tom regularly attends professional seminars, reads industry-specific literature and meets with other top agents to develop & refine the skills employed by the most successful business professionals around the world. In today's market, teamwork is essential to compete and succeed. Every one of Tom's clients benefits from decades of his relationship development which has brought together a veteran support team of lenders, escrow & title officers, tax & legal consultants, contractors, movers & appraisers - just about anyone you might need to assist in making your deal a success. Combining his technical and communication skills with the substantial assets of Coldwell Banker Real Estate and Mortgage Services, one of the most respected names in real estate, Tom looks forward to working with you and demonstrating the level of service you deserve to earn your business both now and in the future.